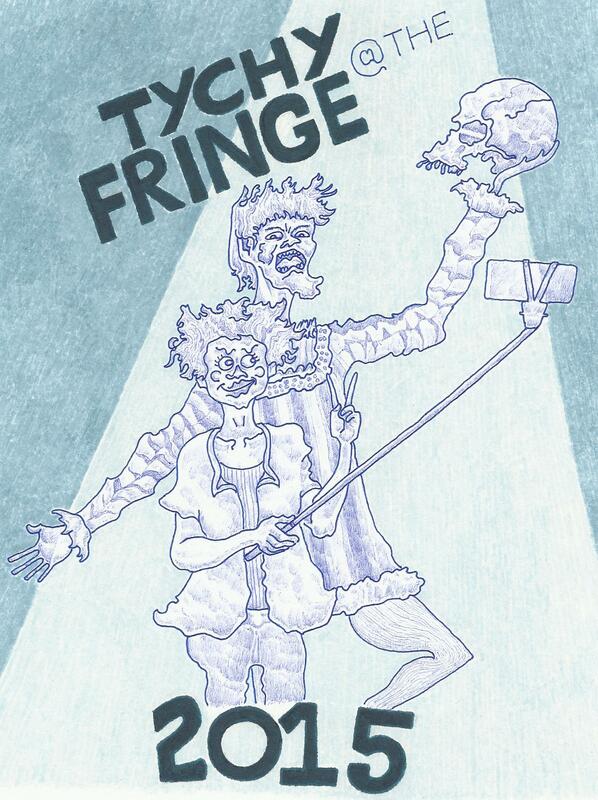 Tychy@ the Fringe: The Ghost of Sadie Kimber. This afternoon I’m at the Merchant’s Hall on Hanover Street to see Making Light Productions’ “The Ghost of Sadie Kimber,” an adaptation of a 2003 novel by the children’s author Pat Moon. A family moves to a gloomy old house in the West Country and at about this time Sarah (Shaizeen Persha), the youngest of the three children, acquires an imaginary friend called Sadie. Oh, but she might not have invented Sadie after all. Soon there are ghostly messages in mirrors and flashes of poltergeist pique. Sarah is now a little sinister around the edges and her siblings (Jacinta Maud Hunter and Robert Bingham) must embark upon a quest to lay the spirit who is troubling her to rest. Clearly a lot could go wrong with this play, but the cast manage to make it safely around its theatrical obstacle course without bumping any shins. Yes, the story is clichéd, but the clichés soon seem to have an incongruous lightness and freshness to them. When adults play children, there is always a danger of it just not working, of them appearing embarrassingly inauthentic. Yet the actors here replicate the restlessness and stroppy physicality of young children without any jarring notes. Ghost stories are always challenging to stage because it is hard to genuinely scare audiences. “The Ghost of Sadie Kimber” wisely decides to be creepy rather than scary and, within the confines of a “family” show, it is quite successfully creepy. Canavan Connolly looks more startling than any ghost, as the hard-faced old lady Mrs Quigley. There is a good creepy scene with a malfunctioning television. Much of the creepiness comes from this play’s commitment to its setting. The adults are so distant that they might as well be on the moon. The nervous loneliness of Laura, whose correspondence with her left-behind best friend is rapidly petering out, conceivably just reflects the loneliness of the old house. The hugeness of this old house comes to be strangely conveyed by the smallness of the stage. It is such a small stage that over the course of the play it grows as intensely familiar as the space which might contain a children’s game. I imagine that The Ghost of Sadie Kimber is a favourite childhood book of the writer Lucy E M Hunter and that she has lovingly adapted it for the stage. In any event, the result is a stylish and intimate piece of theatre. Thank you for your well observed and thoughtful review. One correction if you could alter it on line is the writer is Lucy E M Hunter Holly is our fabby technical director! Apologies – this is terrible carelessness. Thank you for the correction.